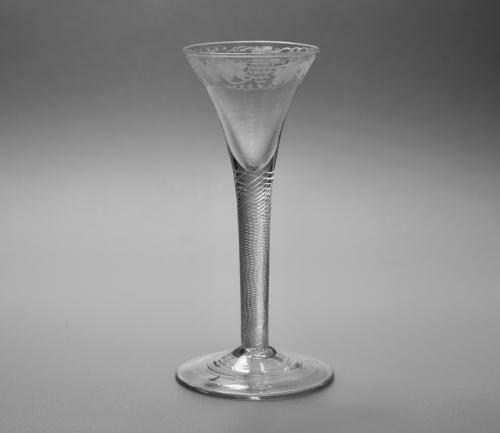 Multi spiral air twist wine glass C1755. Drawn tumpet multi spiral air twist wine glass with plain conical foot. The bowl engraved band of fruiting vine. English C1755. Note: A well made good quality little glass.